The Chattanooga Confederate Cemetery. (Photo by Daniel Jackson/CNS). This is the site of one of the latest developments in the national debate about Confederate monuments and their place in modern society. 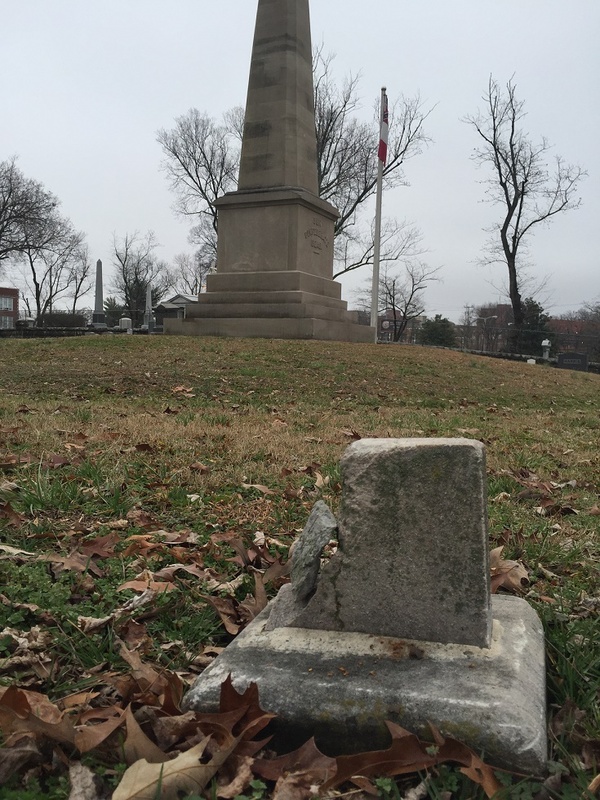 In August, the city of Chattanooga first announced it would file court papers to remove itself as a trustee of the Chattanooga Confederate Cemetery on East Third Street. A week before, a man stopped protesting with a white nationalist group at the “Unite the Right” rally in Charlottesville, Va., got into his Dodge Challenger and accelerated into a crowd of counterprotesters, killing one and injuring 19. The suspect, James Fields Jr., of Maumee, Ohio, has been charged with second-degree murder for the death of 32-year-old Heather Heyer. In the wake of Charlottesville, Southern cities and towns were left grappling with whether to remove the monuments to the Confederacy in their public spaces. Birmingham challenged a state law that prohibited it from covering up an obelisk to Confederate sailors and soldiers. Baltimore hoisted its twin statues of Confederate Generals Thomas “Stonewall” Jackson and Robert E. Lee into a flatbed early one morning. But Chattanooga took a different course. On Feb. 2, the city filed a joint petition with the Sons of Confederate Veterans in Hamilton County Chancery Court seeking a judgment removing it as a trustee of the local Confederate cemetery. The petition asks that a trust created by the Sons of Confederate Veterans maintain the land instead. The ridges and fields around Chattanooga were the grounds for some of the bloodiest fighting of the Civil War. In the fall of 1863, the Union Army retreated into the city after its loss at Chickamauga 10 miles away. When it broke the Confederate Army’s siege, it set the stage for Union General William T. Sherman’s scorched-earth march across Georgia. 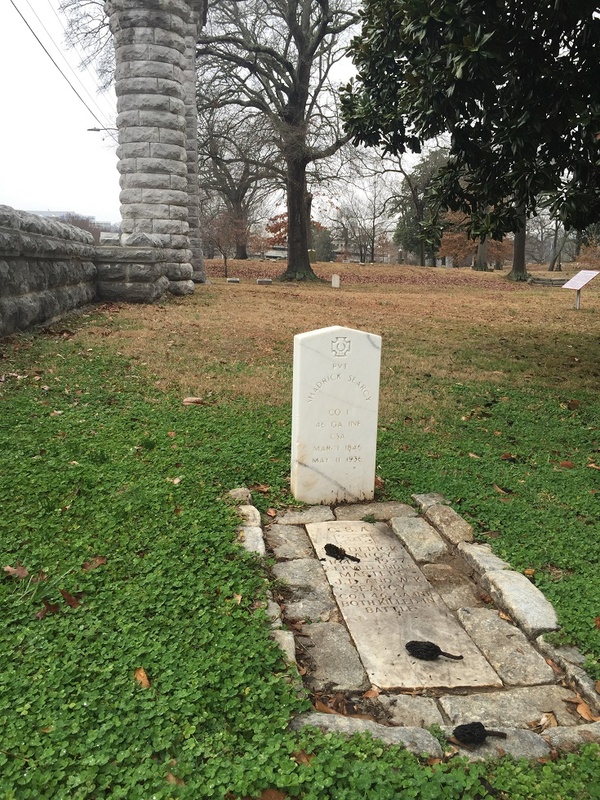 Many of the Confederate soldiers buried in the Chattanooga cemetery died at a nearby hospital during a period of January to September 1863, according to a plaque there. Other remains were relocated years later after workers uncovered bodies while creating roads and buildings in the surrounding area. Neither the city nor the NAACP of Chattanooga responded to multiple requests for comment on the issue of the local cemetery. But Scott Hall, judge advocate-in-chief for the Sons of Confederate Veterans, said in an email that graves are sacred and protected by law. Honoring Confederate soldiers who fought for their homes is just like honoring veterans of Afghanistan and other wars, he said. “Did we not learn from the Vietnam War to not blame the soldiers for a war which the politicians and governmental powers created?” Hall wrote. The maintenance of Confederate graves is a big part of what the Sons of Confederate Veterans does as an organization, Hall said. Another is to advocate for and teach what the group says is the true cause of the so-called War of Northern Aggression: That the Southern states wanted to be independent and their rich, poor, black and white residents took up arms to stop the pillaging armies of the North. Little will change in practice if Chattanooga’s petition to appoint a successor trustee is approved. The Sons of Confederate Veterans has maintained the cemetery for years – at least since the early 1990s – using volunteers. But the city’s move is a symbolic one, aimed at distancing itself from the region’s Confederate past. 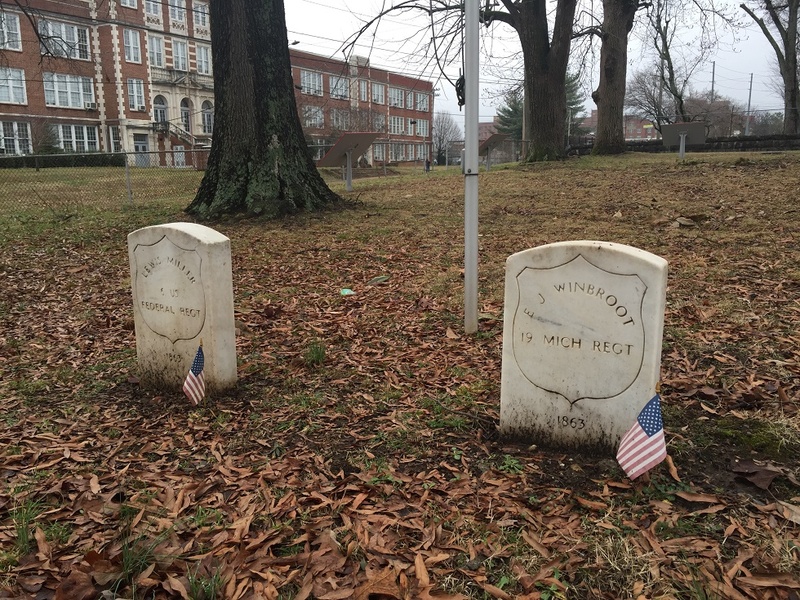 Besides the graves of Confederate soldiers, a pair of faded American flags stand at the base of the stones commemorating the two Union soldiers buried in the Chattanooga Confederate Cemetery. 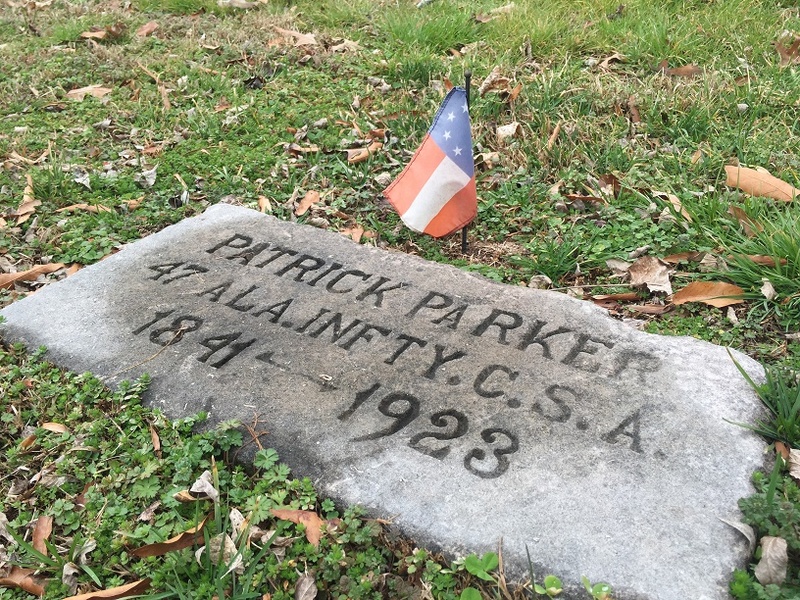 He’s not the only black Confederate buried there, Hall wrote. Hall said he was not aware of any other southern cities that no longer wanted to care for the Confederate cemeteries in their communities. While Chattanooga’s move to be dropped as a trustee was unusual, the city’s relationship with the cemetery on East Third Street was unusual as well. According to the city, it had never actually owned the property and had no responsibility to maintain it. At first, a group of three people held the deed to the cemetery in 1867. It wasn’t until 1942 that a judge decreed Chattanooga would be a temporary trustee for the cemetery for a period of five years because all the original trustees had died. However, the city claims its time as trustee for the cemetery technically expired in 1947. In the past, the Sons of Confederate Veterans asked the city for permission to maintain the cemetery and Chattanooga said yes. “The city believes it is in the best interest of the cemetery to remove any bureaucratic barriers for the maintenance of the cemetery,” the petition states. In the decades since the Civil War, the federal government’s treatment of Confederate graves has evolved and changed. In the immediate aftermath, it established national cemeteries to house the remains of only the Union’s dead. Confederate soldiers were buried in national cemeteries if they died as prisoners of war in the North and for years their graves remained neglected, according to a 2016 report by the National Cemetery Administration, or NCA. It wasn’t until the end of the Spanish-American War that President William McKinley said the federal government would care for Confederate graves, as a way to reconcile with the South. At that time, the “Lost Cause” ideology – which, despite the Civil War defeat, views the Confederate cause as a heroic fight to preserve the Southern way of life against great odds – was well established. It was the Lost Cause thinking that fueled the push to erect monuments to the Confederacy across the South, according to the NCA report. The NCA, which is a part of the U.S. Department of Veteran Affairs, now tries to keep a balance between respecting visitors to the cemeteries, the dead soldier and history, according to an emailed statement from the VA press secretary’s office. The NCA only allows small Confederate flags to be displayed on Confederate soldiers’ graves on Memorial Day and Confederate Memorial Day, an unofficial Southern holiday. The stars and bars are prohibited from flying on a fixed flagpole. 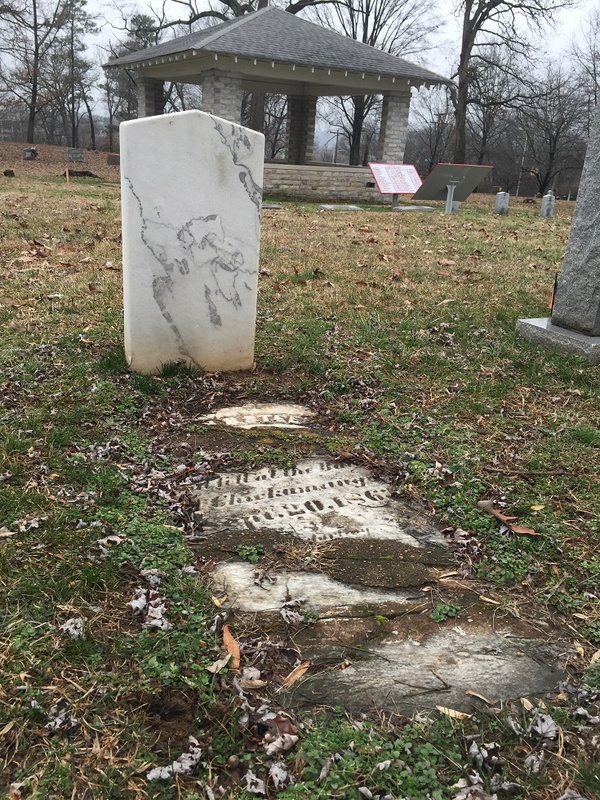 Jefferson Hodge, a board member of Chattanooga Organized for Action, said in an interview that there is historic value in the local Confederate cemetery and the graves should be maintained. The only question is by whom. Chattanooga Organized for Action runs The People’s History Project, which seeks to tell the history of the role of minorities, women and the working class in the development of the city. It created posters and conducts walking tours to teach people about the early civil rights leaders and other relevant topics like the actions of the Ku Klux Klan in the 1950s and 60s. Hodge said the Sons of Confederate Veterans is a “complicated and problematic organization” because, in the early 2000s, individuals associated with modern white supremacist movements filled national leadership positions in the group. Hodge would have no problem if an agency like the National Park Service or even the city itself cared for the cemetery, he said. But he sees the question of who maintains a cemetery differently than the question considered by Hamilton County – the county in which Chattanooga sits – when it decided to keep a statue of Confederate General Alexander P. Stewart displayed on the courthouse lawn.